Doc Rivers left Boston to coach the Los Angeles Clippers more than five years ago. But he keeps returning every September to help Action for Boston Community Development. So the former Celtics coach will be back on the TD Garden parquet again on Tuesday for ABCD’s annual Hoop Dreams fund-raiser, joining his successor, Brad Stevens. They’ll host various corporate teams playing in informal, half-court competitions. (ABCD says corporate participants include Live Nation, Vertex, Varano Group, Eaton Vance, Aetna, MassMutual, Loomis Sayles, and Clark & Elbing.) They’ll then join sportswriter Bob Ryan for a Q&A discussion. The event is expected to raise more than $100,000 for the Boston-based anti-poverty group. 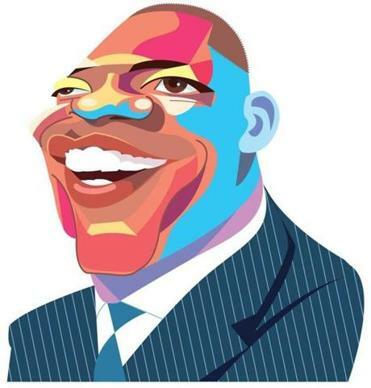 During his tenure at the Celtics, Rivers became inspired by the work of ABCD, and the various ways the group helps people, ranging from fuel assistance to career prep to early childhood education. He saw the success of ABCD’s “Field of Dreams” fund-raiser at Fenway Park and wanted to replicate it at the Garden. Owner Delaware North agreed to donate the use of the arena, and a new tradition was born in 2011. When Rivers heard Stevens would succeed him as head Celtics coach, he called Stevens up to wish him good luck. So far, Rivers has kept that promise. ABCD’s Bob Elias says fans still gravitate to him at the Garden during the event, and Rivers doesn’t shy away from autographs or photos. Rivers says he gets a charge out of watching Hoop Dreams participants step onto the parquet for the first time, looking up at all those championship banners and retired numbers. Ted Benford has spent much of his adult life moving between coaching crew and management jobs. Now, he’s found the ideal role to tap his experiences from both: executive director of Community Rowing Inc.’s rowing club. Benford was initially hired as director of operations in 2016, and became interim executive director in March. He took over for Bruce Smith, who led the nonprofit for a decade. For a rowing enthusiast like Benford, it’s hard to beat having an office at the Harry Parker Boathouse, overlooking the Charles River in Brighton. “This job really combines a lot of my experience in the sport, and my administrative experience,” Benford says. He’ll oversee a staff of 32 full-timers and 125 part-time workers, with about $6 million in annual revenue. The organization is fiscally strong, he says, so his big goal will be to expand and strengthen its work in local schools, to get thousands more kids out on the water. Concert impresario Don Law hasn’t given up on his dream of seeing a park built on an old city-owned pier, next to the Blue Hills Bank Pavilion. But Law, who manages the Pavilion and other local Live Nation concert venues, will have to convince Mayor Marty Walsh first. Law told the Globe’s editorial board that he hopes to meet with Walsh in September to discuss the park idea for Dry Dock 4. But a spokeswoman for Walsh says there’s no meeting currently scheduled between the mayor and Law. Law also wants to scuttle a developer’s proposal to build a pier next door to the Pavilion. Kavanagh Advisory Group of Danvers just sent a letter to the city saying it is reviving plans to build out into the water off Northern Avenue. Kavanagh says it’s in talks with potential maritime research and development tenants for a 122,500-square-foot building it would develop on the new pier. By that, Law means, a park out on Dry Dock 4. The forlorn pier requires millions in renovations. But it’s still a prize, one of the few empty waterfront parcels in Boston, with beautiful views. It’s sparked plenty of hopes and dreams. Former mayor Tom Menino wanted to put City Hall there. State officials once considered it for a helipad, to help General Electric. A cruise ship-turned-hotel has also been floated. Law hopes that his interests can align with the Trustees of Reservations’ goal to build one or several signature parks in Boston. But the Walsh administration has been cool to the idea of turning the dry dock into a waterfront park, preferring instead to focus on Fort Point and East Boston for new park development. There are no immediate plans to solicit proposals for Dry Dock 4. Instead, city officials anticipate the pier will be used as a staging area for the rebuilding of the Long Island Bridge.